A common problem in content marketing is constantly coming up with new ideas to write about. And any content marketer knows how crushing it is when a post you have poured over, put your heart and soul into, doesn’t generate you any results. Conversely, you will know the delight at when a post you wrote 1-2 years ago, maybe even 5 years ago is still generating traffic and leads. This evergreen content is the holy grail of content marketing; “It’s that article that consistently ranks well in search and drives 65 percent of your site traffic, even though it was written in 2011”. When writing for manufacturing, where the subject matter is often highly technical and niche, keeping posts interesting and click-worthy is even more challenging. In this post, we will look at the value of evergreen content as part of your inbound marketing strategy and give you ideas on where to start. 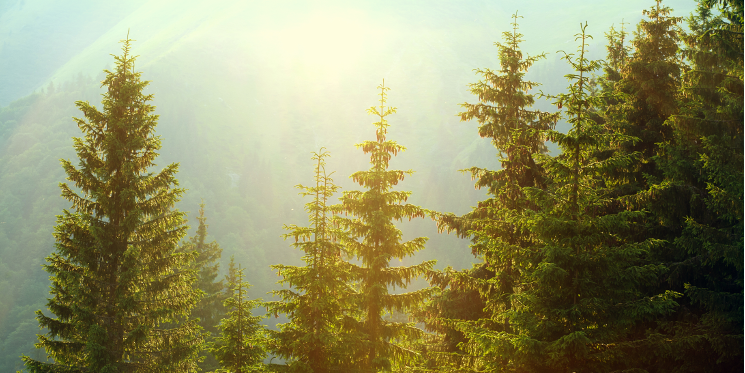 The key to mastering evergreen content is solving real customer problems. To do this you need to understand what challenges your customers are struggling to solve and provide them with detailed instructions to help them. Make yourself the go-to company that answers the questions your competitors don’t. Identify the posts that have had the most views, are there any common trends in the type of content that is performing well? Now look at the conversion - How many people have clicked through on the CTA and become leads. If the conversion rates are low, you may consider reviewing your CTAs. Look at where your traffic coming from – e.g. social media/ direct/ organic search/ referrals. This helps you to know where to focus your efforts, and if you are missing opportunities with keywords, social selling etc. Host a brainstorming meeting with your sales and marketing, customer services, and any external agencies or writers you may use, to get insight from your front-line staff on the types of issues your customers are facing. Cornerstone content as the name suggests, are solid foundational pieces of content that reflect your business’s mission and communicate your propositions. They are your evergreen content centre pieces from which the rest of your content should branch from, and link to. In a manufacturing context, this content could be long-form versions of your FAQs, which help every first-time visitor become familiar with the subject or market your site covers. We discussed the value of an FAQ page to a manufacturing company here. Other examples of cornerstone content could be white papers, case studies and eBooks, but be mindful of length and usefulness, we discuss this in more detail later. The results of your analysis will guide you on what topics to focus these cornerstone heavyweights on. But answering your visitors’ questions is only the first step, if your content is not getting found online, you are missing out. To maximise the effectiveness of your content you need to consider your SEO strategy. If done correctly, a cornerstone content approach can boost your ability to rank for popular search terms. If you write a lot of content around the same topics, you need to make sure Google knows which one is the most important. Ideally, your cornerstone content should have its own page on your website, or if it’s a download – its own dedicated, gated landing page and thank you page. Make sure you link back to your cornerstone content in every subsequent article on the same topic. Such an internal linking structure will increase the chance of your cornerstone content article ranking in Google. One common failing when producing cornerstone content, according Aaron Orendorff is mistakenly equating long with evergreen. Your customers are desperate for the easiest, most actionable insights to solve their problem, with signposts to further resources if they wish to drill down further. They want a concise, easy to digest answer, not to download a hefty eBook they have to sift through for the relevant information. Rather than producing a go-to resource to guide readers through their problem, unwieldy and difficult to navigate content offers, with no clear information hierarchy or concrete takeaways are not going to benefit your visitors, or generate your manufacturing company new leads. That is not to say lengthy content offers aren't valuable. In fact, long-form is a hallmark of high ranking content across the web. But if it is lengthy, then you must provide your visitor some way to sort and simplify the information immediately. The best evergreen content solves for one problem, for one set of customers. If your company has different customer groups, a one size fits all approach to content will not work; and writing sector specific content gives you an opportunity to rank for specific industry related keywords. Producing evergreen content is labour intensive, and hard work, and the work doesn’t stop once it’s published. To maximise the potential of your evergreen content it needs to be kept up to date. Revisit your best performing content regularly, update any dated statistics or links; the more you update your website the more often Google will crawl it, which maximises your SEO potential. Good quality content is the fuel of an inbound marketing strategy, to learn more about developing an inbound marketing strategy, download our eBook.